Cord cutting means ditching the traditional satellite, cable and Freeview packages (the "cords") and switching to television over the web instead - although there isn't really any fixed definition of the phrase, and its meaning has tended to shift over recent years. The main benefits of cord cutting are that you're then free to watch what you like when you like, and indeed where you like, often without a big monthly subscription hanging over your head. Here's everything you need to know about cutting the cord in the UK. Not so long ago, watching shows over the internet rather than through your TV aerial or Sky box was rather novel, but with all the big broadcasters now offering online packages anyway, cord cutting isn't quite the same entertainment revolution as it once was. The likes of Sky, Virgin, BT and the terrestrial broadcasters have recognised the way the industry is going and now offer services with cord cutters in mind - so nowadays cutting the cord doesn't look that much different from the traditional ways of tuning in. Still, the basics are the same: getting TV on demand, wirelessly, and as you need it, rather than paying for a large number of channels all at once. Netflix is leading the charge of cord cutting, letting you watch shows anytime you like from just about any kind of device. The landscape is different in the UK to the US, and cord cutting is both easier to do and not quite as necessary (both Sky and Virgin let you pick and choose channels and offer web services). There's also a lot of choice when it comes to planning your own cord cutting. If you want to ditch the traditional Freeview, satellite or cable box under your TV set, then you really are spoilt for choice - Sky itself has two alternatives to its standard box, the dinky but impressive Now TV streamer plus the brand new Sky Q range of devices. And that's just for starters: you can use a Chromecast, an Apple TV, a Roku, an Amazon Fire streamer and many other devices to get content up on your TV. The good news is that many of them run the same apps and services, which makes choosing a little easier. That said, it's still worth checking: Apple hardware is pretty much your only choice if you want to get movies and TV shows from iTunes up on the big screen, for example, but if you go for the Apple TV you can't (yet) get any kind of Sky Go app for streaming Sky content. A Chromecast can stream pretty much anything (including videos from iPhones and iPads), and it's cheap, but you do need another device to hand to store or stream everything you want to watch. All the available bits of kit have their own pros and cons. If you work out what you want to watch - sports? Movies? Old episodes of Columbo? - then it makes choosing a streaming box easier, because you can pick one that runs the apps you need. Now TV would be a good choice for tuning into Game Of Thrones, for example. You also need to decide whether you want to rent shows and movies or buy them for good. You can buy most TV shows for keeps on iTunes or Google Play - it's more expensive but it does mean you're not paying Sky or Virgin for a load of content you don't really want. Fortunately for cord cutters, all the terrestrial broadcasters offer catch-up portals and apps for tuning into your favourite shows, and all but Channel 5 let you stream broadcasts live over the web without the need for an aerial (though you do still need a TV licence). If you do want to sign up for Sky, Virgin or BT then you get access to their online streaming apps (in Sky's case, you can go online-only if you want to). You can pick and choose between these different services and of course change things around over time as well. The best strategy for UK cord cutting is to work out what you want to watch, how you want to watch it (live or later) and then pick a device and a selection of apps to match. That's going to take some time, but once you've made your decision it's plain sailing from there. 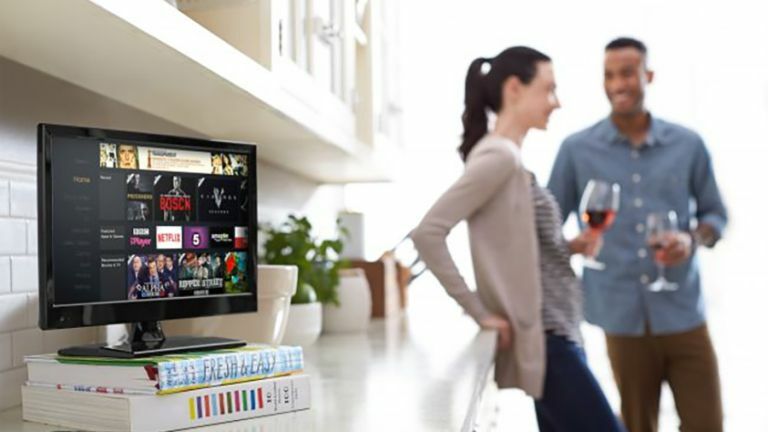 All of the streaming boxes on the market simply plug into the back of your television, connect to your Wi-Fi network, and tell you they're ready. Some (like the Apple TV) can download content to store locally, while others (like the Chromecast) are streaming only. Everything from iPlayer to Netflix will ask you to sign in to prove you are who you say you are and you can then start watching - paying to keep films and TV shows is more expensive but it does mean you can always watch them whenever you like and wherever you are. As services such as Netflix and Sky Q evolve, the nature of cord cutting is changing all the time, but the central idea remains the same: breaking away from the traditional way of watching TV on a schedule, though a television set, to something much more appealing.